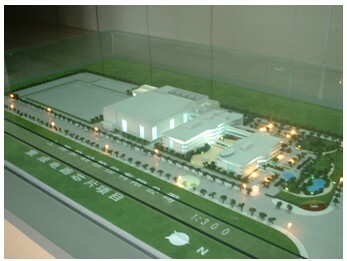 Shanghai Belling integrated chip project is a modern chip package plant. 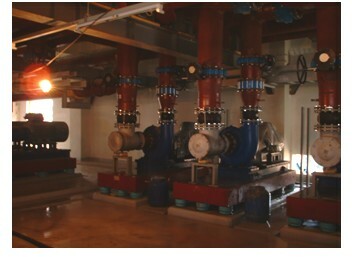 The project covers the electromechanical equipment monitoring system of HPM, CUB, PWT, E building and F building. To meet the requirement to integrate manage and control of electromechanical equipment at refrigerating station and HVAC, a complete automated control and manage system is designed for the processing requirement in this project. Meanwhile, the system is required to communicate with other intelligent sub-systems and be linkage controlled if necessary, to create an accurate, high efficient, energy saving, comfortable, high cost performance and safety working environment. Schneider Quantum series PLC is used in this project. The control layer includes 1 suit of Quantum redundancy control station and 15 remote I/O stations with totally 2500 I/O points, 2 iFix operation stations and 1 engineer stations.